We are the innovation partner that helps our customers assess risk, deliver crash and claims services, and manage their ongoing customer relationships through our platform delivering advanced analytics and solutions. We have the most advanced technology that collects data from connected vehicles, including driving behavior, location, duration, contextual elements and crash impact dynamics. Raw data is processed into actionable intelligence. Risk correlation and actuarial capabilities support industry leading driver scoring models, pricing algorithms, crash alerts and claims reconstruction. Leveraging on our alliance with Willis Towers Watson, our DriveAbility® Marketplace is an insurance telematics data exchange. We aggregate and analyze nonuniform, granular data to provide an industry-leading driving score. We also facilitate relationships between data providers and insurers so you can present convenient, personalized insurance offers to your customers using pre-analyzed driving data. Telematics policies provide a ‘win-win’ for drivers and insurers. Drivers benefit from savings of up to 30%, as well as increased safety and security features, while insurers benefit from better risk assessment and claims management, which improves financial performance. Built specifically for Insurers, Octo’s IoT platform improves your loss ratio. The power behind telematics. Our solution spans the entire insurer value chain. Our technology solutions are designed to enable insurers to enhance their risk assessment and improve their operational and financial performance. Policy holders can benefit from cost savings and enriched services including simpler claims processing and enhanced service provision. Octo’s telematics data-set contains over 196 billion miles of driving data, and continuously receives new information at a rate of 60,000 miles per minute. Find out how Octo’s platform and data analytics solutions could increase your policy offering and profits. Octo has acquired Willis Towers Watson’s usage-based insurance (UBI) product, which includes DriveAbility Scoring, Consultancy and Marketplace, and together formed a Strategic Alliance. This partnership advances UBI data analytics and technologies to deliver leading-edge UBI solutions, scoring and consultancy to the insurance industry. DriveAbility Scoring is trusted by insurers worldwide as a cost-effective way to rapidly go to market with a usage-based insurance (UBI) product. The DriveAbility Score uses granular telematics data with claims, policy, and external contextual data to deliver a score which is highly predictive of risk. Beyond pricing, the DriveAbility Score provides insights into driving behavior, giving policyholders feedback and targets to improve safety. The DriveAbility Marketplace is an insurance telematics lead generation engine that enables insurers to identify, qualify, offer, and bind policies based on third-party telematics data. Octo facilitates the relationship between data providers and insurers, addressing their challenges and enabling each to focus on their core competencies of providing value to participating customers. By leveraging the DriveAbility score, insurers pre-select the risk profile they want to underwrite prior to binding them to a policy, thus matching the right customer with the best insurance policy. DriveAbility consulting services allow you to leverage decades of combined experience to build a telematics program based on best practices and proven results. Having developed the market-leading DriveAbility score, implemented over 50 usage-based insurance programs, and consulted on the most challenging problems facing insurers today, DriveAbility Consulting provides the best foundations for your initiative. 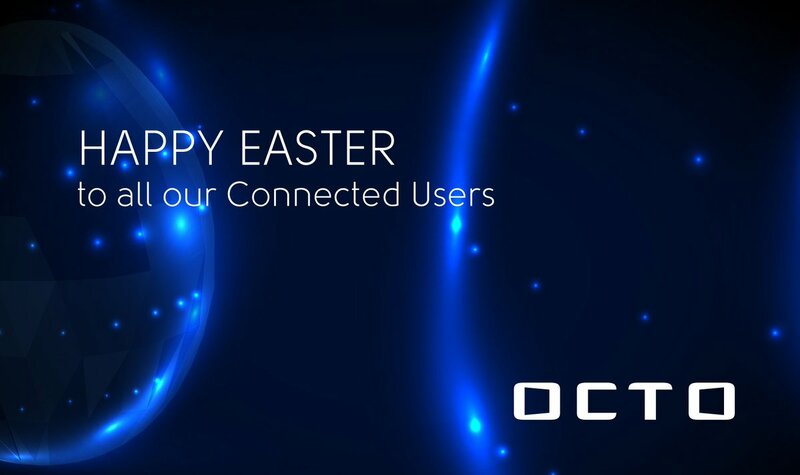 Built to support our Automotive players, explore Octo’s IoT platform is designed to increase your service-based-revenue, win customer loyalty and profit from investments in connected car technologies. Octo is helping Automotive players profit from investments in Connected Car Technologies. With over 60 existing partnerships with leading insurers in 23 countries, Octo has the largest database of driving data in the world. Our Telematics services hub offers Automotive business partners an unrivalled choice of insurers to work with. Leveraging insights from Octo’s contextualized driving behavior algorithms and using our analytical capabilities, we are able to provide next generation CRM solutions as a basis for customer loyalty, creating user based warranty, preventative maintenance and aftermarket services. Find out how Octo is improving offerings for the Automotive sector, insurers and fleet, whilst benefiting the end consumer. Omoove, wholly-owned by Octo, provides technological solutions for Vehicle Sharing and Fleet Management. Omoove is the European leader in providing innovative technological solutions in the Mobility market, offering end-to-end Shared Mobility, Fleet Management and Insurance Telematics solutions for Vehicle Sharing Operators and Car Rental Companies. Octo is the force behind improving safety and rewarding good driving through insurance savings! Over 5.6 million drivers through 60 insurance partners are saving money on their insurance costs with Octo technology powering their insurance policy. Through our crash detection capabilities drivers have the peace of mind of knowing that should they be involved in an accident, the right help will automatically be triggered. Talk to one of our insurance partners today to find out how Octo technology could lower your insurance policy.